In June 2016 I day-hiked from my "Ouzel Camp" at John Muir's "Hurrah Cascade" in Yosemite's Grand Canyon of the Tuolumne to Waterwheel Falls. 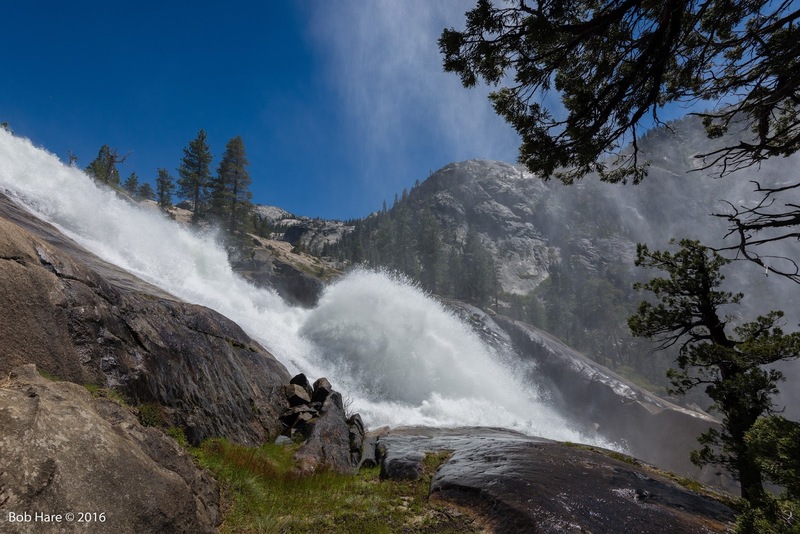 My goal was to re-photograph a sketch Muir made of the "waterwheel" of Waterwheel Falls. 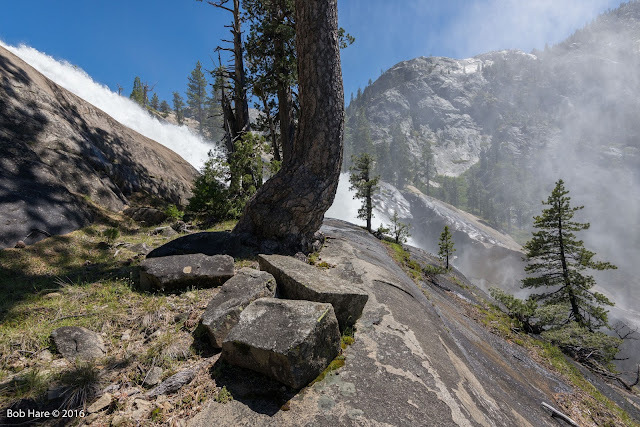 I also wanted to re-photograph an image Ansel Adams made from the same viewpoint. 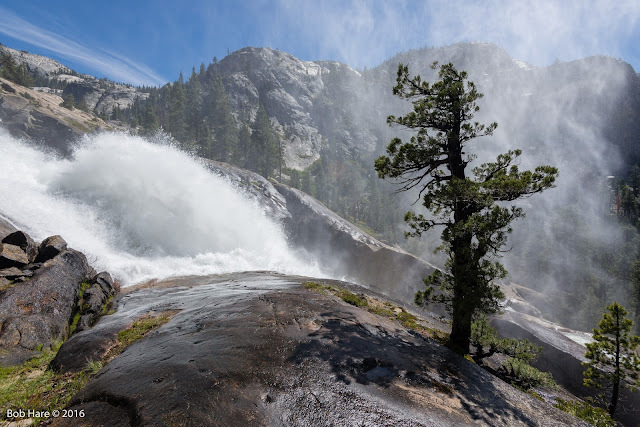 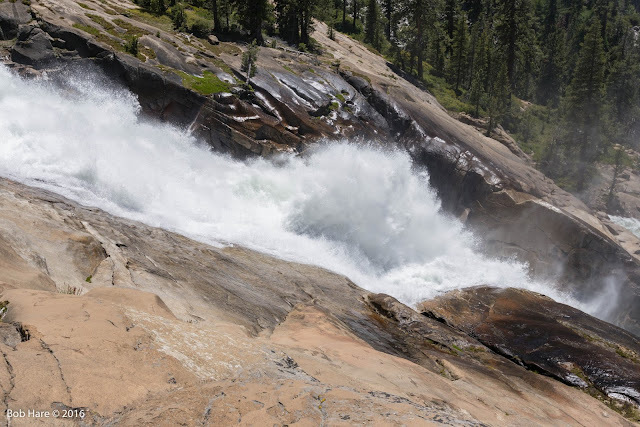 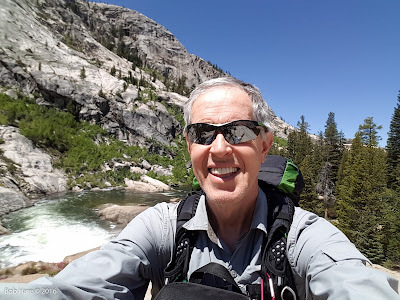 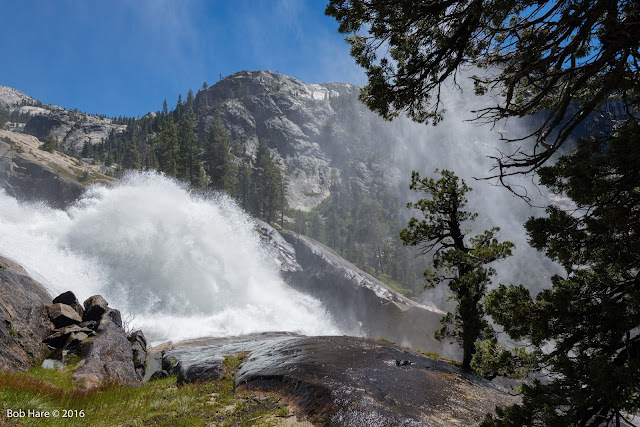 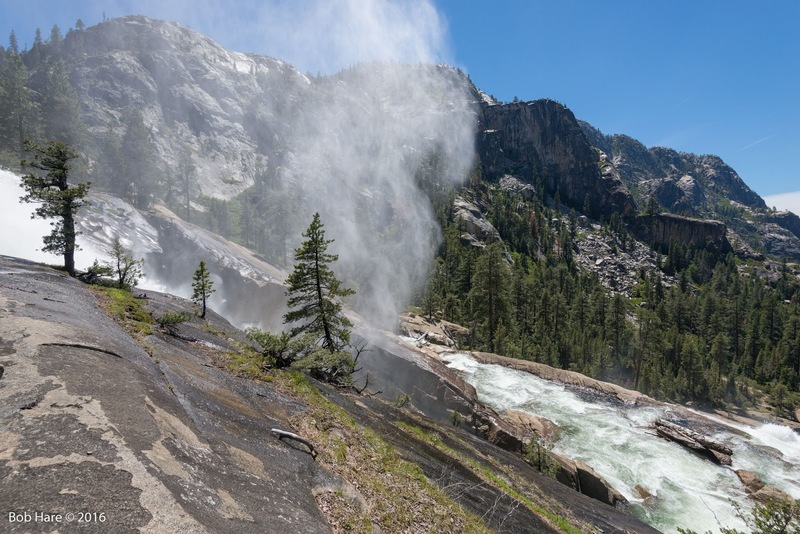 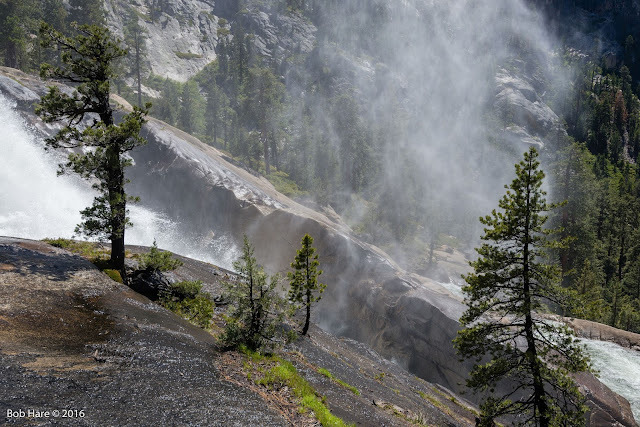 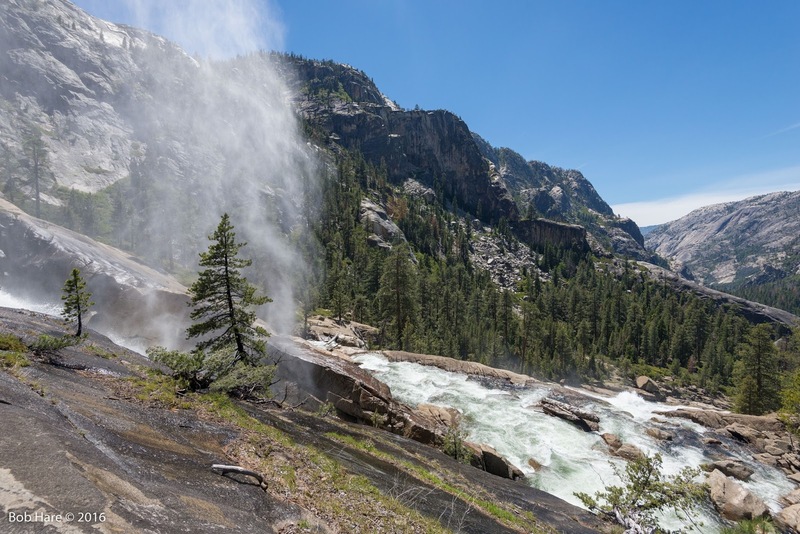 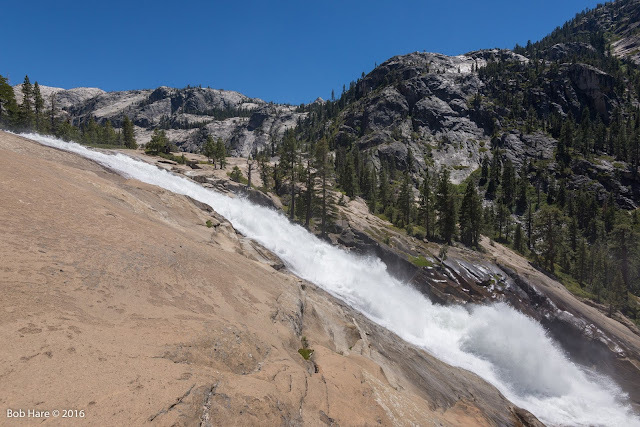 The trail is far removed from the falls so I carefully negotiated the steep and slick glacially-polished granite slopes leading to the shelf that creates the huge cart-wheeling upthrust of the main flow of the Tuolumne River that is called the "waterwheel." 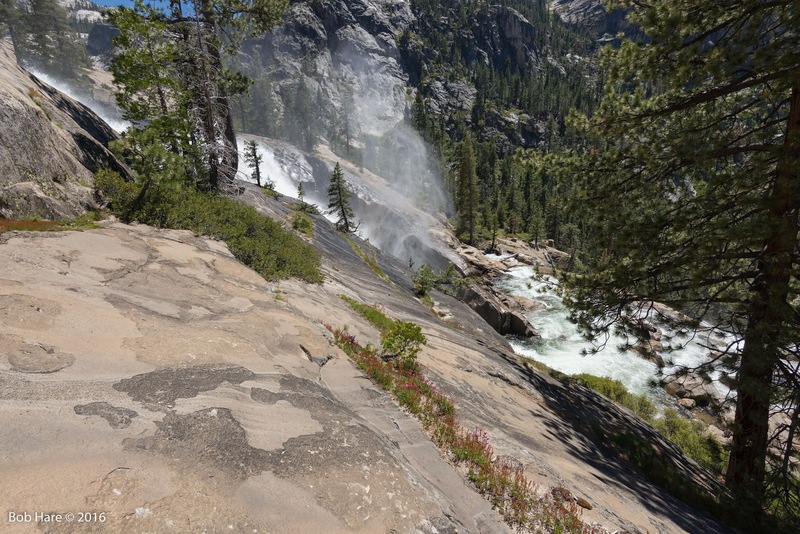 I don't know how Adams made it down the slope with his huge view camera and tripod. 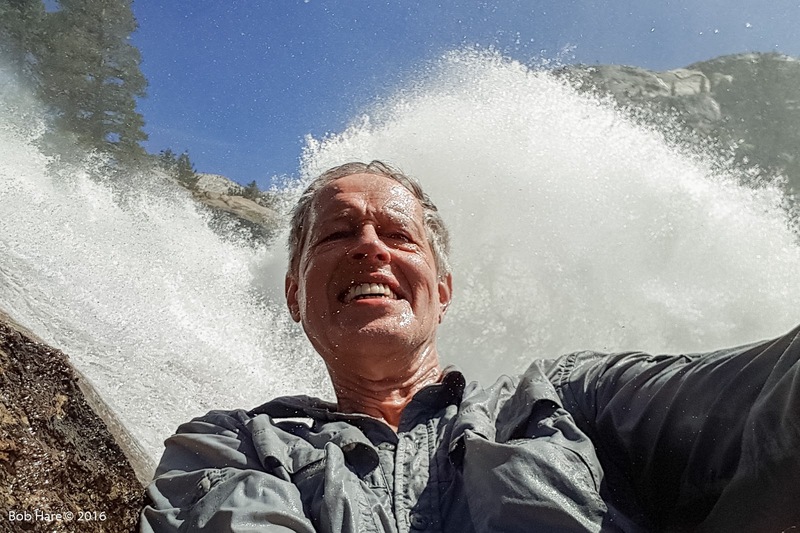 I carefully, and with some trepidation, approached the roaring waterwheel and wedged myself into the same rocks that appear in Adams' photo (with a few new ones that have rolled down in the intervening decades). 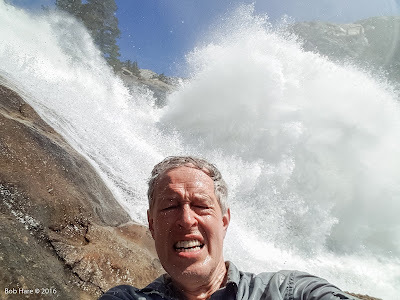 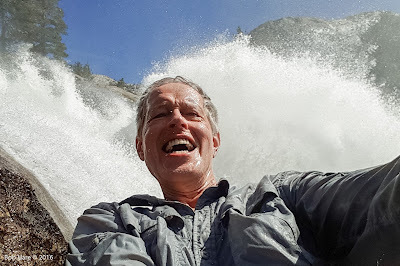 My "selfies" show my emotional transition from initial fear and endurance to elation at being "baptized" by the roaring Tuolumne. Note: I can't post either Muir's sketch or Adams' photograph due to copyright restrictions.